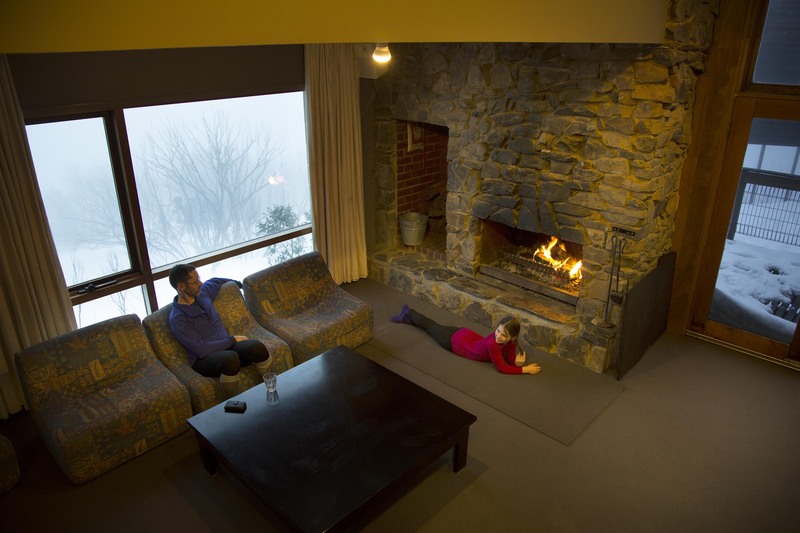 Brush is a modern, architect designed alpine lodge that incorporates all the best features of the Australian ‘club lodge’ or European ‘ski chalet’, now with the invisible comfort of our environmentally-friendly geothermal heating system, Australia's first alpine installation. The lodge has 8 guest rooms, offering a variety of sleeping arrangements, both private and shared, including 4 or 5 person family rooms, double beds, or bunk bed sleeping. The rooms are carpeted, heated and separated from the living areas to eliminate noise. 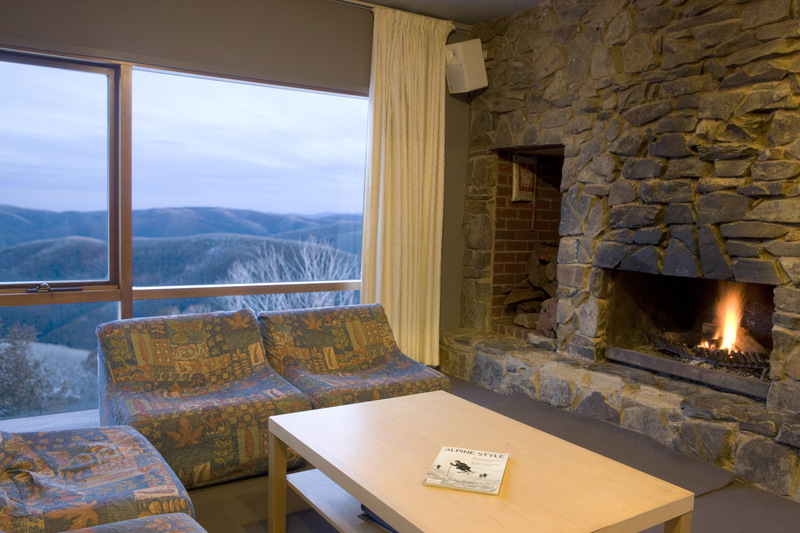 All guest rooms enjoy superb views over the Dargo high plains. The remainder of the lodge operates on a ‘shared’ basis, offering a spacious, split level design incorporating a variety of facilities that are used by all guests of the lodge. 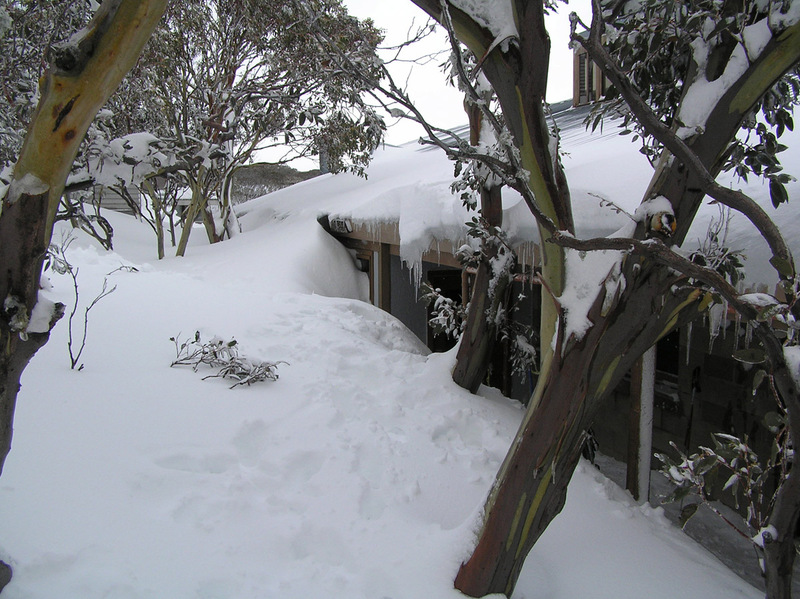 This is the real reason why people keep coming back to lodges like Brush – you get the opportunity to meet people, whilst enjoying a spaciousness that is just not available in the typical apartment offered in the snowfields. Our kitchen offers "Miele" fan-forced ovens, microwaves and induction cooktops, together with dishwashers and all cooking utensils. The layout allows several people to prepare their meals at the same time. Our dining can seat large and small groups simultaneously. 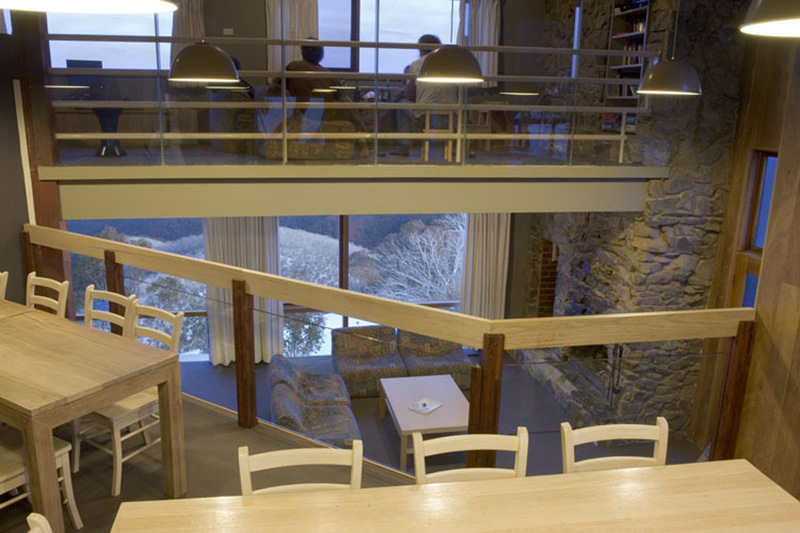 Just below is the living area, centered around a roaring open fire place and featuring floor to ceiling windows looking out to the Dargo valley below. There is also a TV room, complimentary guest PC, LAN & WiFi access for laptops and a separate wide-screen surround-sound cinema. 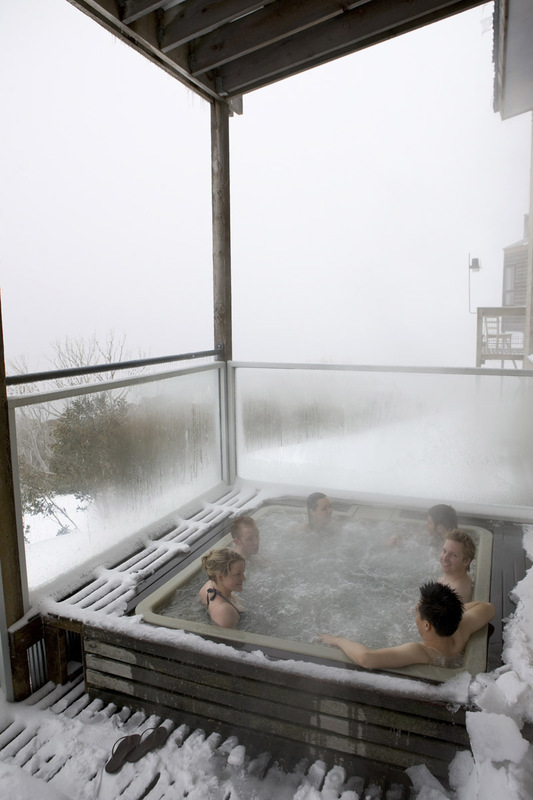 Enjoy some apres ski with our fabulous spa (don't forget your swimwear!) 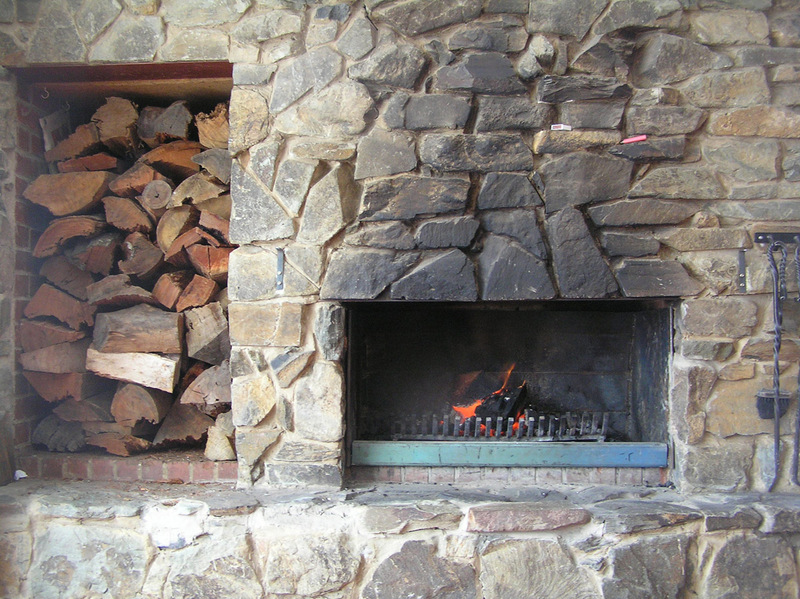 positioned just outside in the snow or in our large sauna. Winter 2019 Bookings are now open!!! Drone and Pano views of Brush – check them out!